A one-year-old boy was found dead after he was swept out of his mother's arms by Hurricane Florence's raging floodwaters in North Carolina on Sunday night. 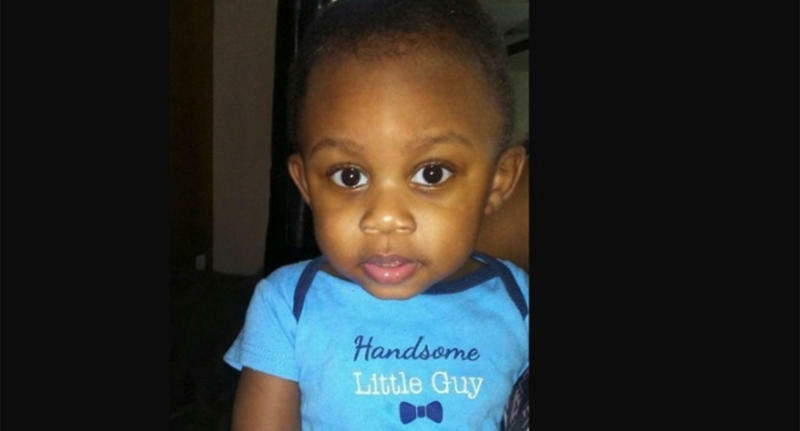 Union County Sheriff's Office spokesman Tony Underwood said that the mother and her son, Kaiden Lee-Welch, were traveling east on Highway 218 in northern Union County, N.C., to visit relatives during the storm when the incident took place. The mother, whose identity has not yet been released, told officials that she encountered police barricades but said they were pushed slightly to the side of the road, leading her to believe it was safe to drive past them. According to the Associated Press, the woman continued traveling east until she encountered rushing floodwaters, which swept her vehicle off the road and pinned it against a row of trees. Although she was able to free Kaiden from his car seat and escape the flooded vehicle, the powerful waters pulled the baby from his mother's grasp and swept him away. The desperate search effort for the boy was suspended on Sunday night and resumed on Monday morning. Shortly thereafter, the Union County Sheriff's Office announced it had recovered the child's body on its Facebook page. "Our thoughts and prayers for the little boy’s family and all the search team members and law enforcement officers who helped in this matter," it wrote. "Very sad situation." A press conference will be held at 1:00 p.m. EST on Monday to discuss the search and recovery efforts.